I had a really bad day today. I had some conversations that verged on the completely ridiculous, which made my day… well… ridiculous. How do I cope? I baked! In my office! Well… home office. This telecommuting thing can be kind of awesome sometimes. Cookies are my go-to baking project of choice. 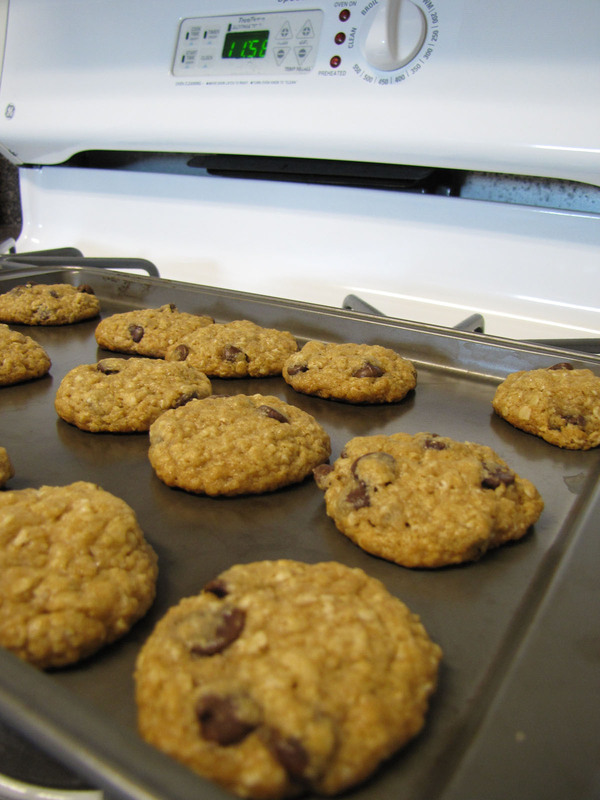 Oatmeal chocolate chip cookies are my comfort food cookies. Or, in today’s case, comfort food lunch. And guess what today’s photo subject is. Where I had lunch! Healthiest lunch ever? Not so much. Soul healing lunch of the day? Oh yeah! *Disclaimer: Feel free to bake this at home, but not every day. Or if you do, go for a run. Life is all about balance. Oh, and don’t burn your kitchen down while you are on your baking spree. Baking more cookies is hard when your kitchen no longer exists.